Имате въпрос към Hotel 55? Построен през 2013, Hotel 55 е важно допълнение към Джакарта и разумен избор за пътуващи. Този 2-звезден хотел е леснодостъпен, тъй като е само на 30km от летището. Добре поддържаната околност и доброто местоположението в близост до Mangga Dua Morning Market, Мол Mangga Dua, Мол Pasar Pagi Mangga Dua са част от специфичния чар на този хотел. Възползвайте се от богатството на ненадминатите услуги и удобства в Джакарта. Безплатен WiFi достъп във всички стаи, 24-часова рецепция, Wi-Fi връзка в общите части, паркиране на автомобили, паркинг са само част от нещата, които отличават Hotel 55 от останалите хотели в града. Атмосферата на Hotel 55 се усеща във всяка стая. Удобства като телевизор с плосък екран, достъп до интернет (безжичен), безжичен интернет достъп (безплатен), стаи за непушачи, климатик са само някои от даденостите на обекта. Освен това в хотела можете да се възползвате от множество предложения за приятно прекарване на свободното време. С перфектното си местоположение и несравними удобства, Hotel 55 е един чудесен избор в много отношения. On the first night, the room on Level 6 had poor air-conditioning, water pressure and hot water, but this was fixed on the next night when we were moved to another room on Level 5. Overall, the cleanliness of the hotel was satisfactory. We took a room without breakfast but it didn't look to appealing anyway. If you want to try it, it costs Rp 25000 per person and it's served from 7am to 9am. The station is located right outside Jayakarta station but you have to walk out and make a u turn in to the adjacent road due to the fence. Convenience stores and a street market are located opposite the main road from the hotel. 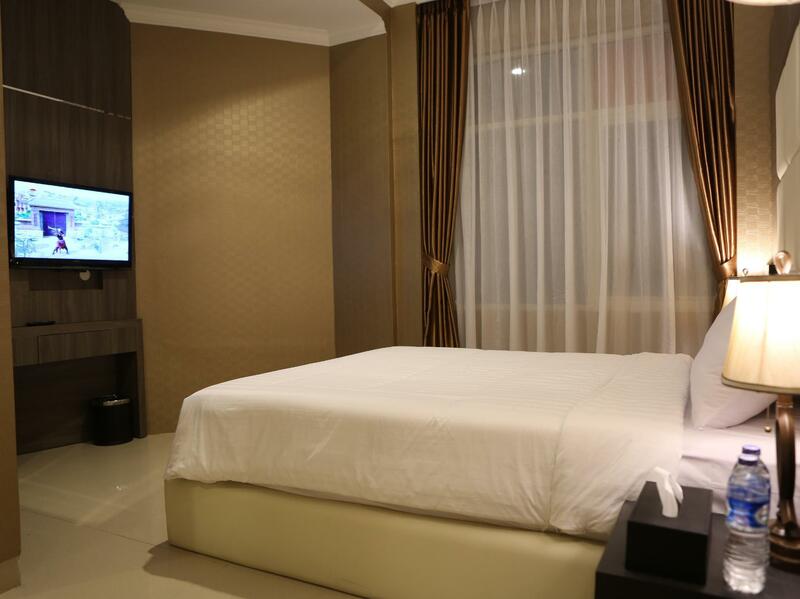 Quite ok, we had stayed for two nights, near Mangga Dua morning market, walking distance only around 10 minutes. night time in front of the hotel, many local temporarily shops coming out selling cheap stuffs. A functional room for a night or two, with a relatively clean room and a nice shower area. I had no issues with the AC. The area is a bit out-of-the-way, but I just walked around to find Mangga Dua. A train stop is right next door, but you have to walk out to the main road and U-turn back into the station, as there is a fence between the hotel and the station. 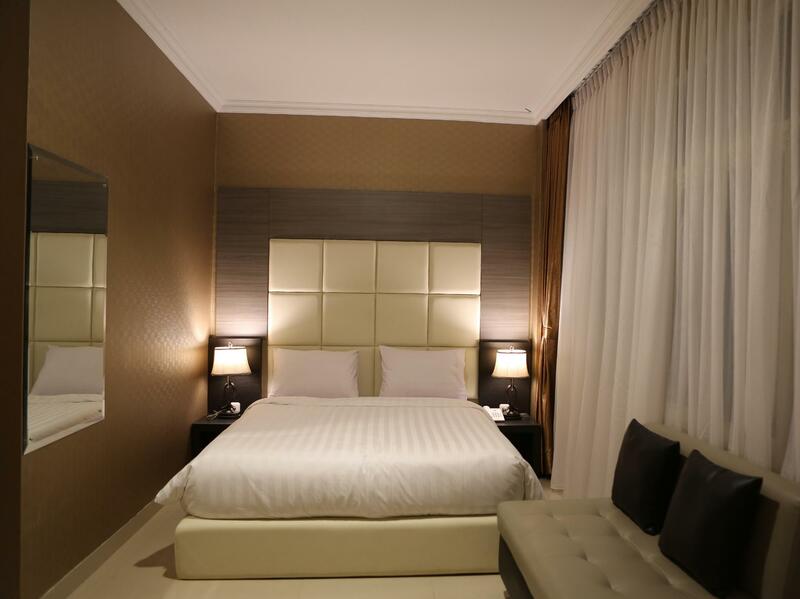 Overall, it's nothing extravagant, but as a room, it's fine, and the staff are helpful. 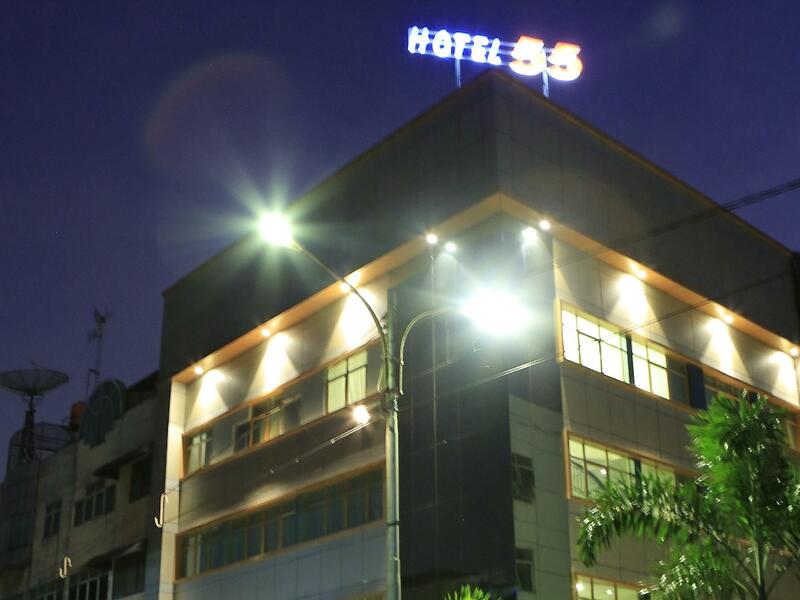 the hotel location might be quite difficult to find at first visit but once you know where it is, it won't be a problem since it's just next to the Jayakarta train station. Even so, you'll not hear the noise from the train inside your room. The room is spacious and clean, worth the money. i had stayed at this hotel early this year. Although this is budget hotel, the room and toilet very spacious. The noise from train station really bothering me. Anyhow, it was nice stayed here. Отседнахме 14 вечер/и в декември 2015 г. This hotel and its general location are not for everyone. I stayed 2 weeks and I only saw white faces once: Germans who were trying to get out of Jakarta ASAP. The taxi drivers don't know the hotel so that can be a problem. Also, the train is not very good in Jakarta. The bus is better, to my surprise. But the staff keep the hotel fairly clean and try hard to accommodate. The biggest annoyance is this hotel gets lots of groups e.g. families and families have children and children make noise. Especially at 6 am when they are checking out. Отседнахме 5 вечер/и в май 2015 г. The hotel is located not close to shopping malls, but there is a night market outside that operates daily. Food-wise, the hotel has a Chinese restaurant near the lobby. You won't find a lot of restaurants nearby, but if you are willing to try street food, there are a lot in the area. The bathroom drain stinks, but it will go away after a bit of flushing. Wifi at level 6 is quite bad, if you can choose, stay at the lower floors. The staffs are very helpful to get me a cab in the wee hours due to my flight. 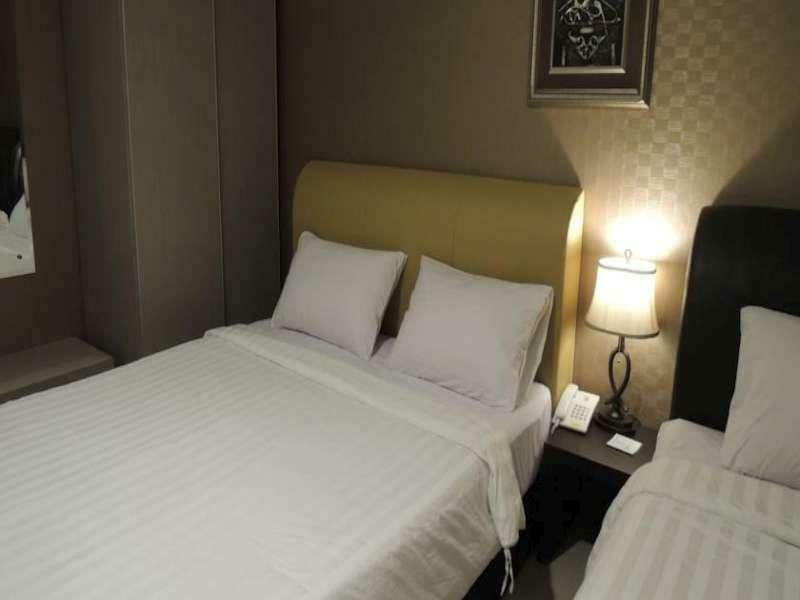 the room is ok.. the bed is comfy..
stayed for a night at this hotel.. hotel location is near to mangga dua trade centre however the surrounding was unaccepted..breakfast was not good at all.. the interior hotel deco needs a lot of improvement.. It was 2nd time to stay there cos the previous stay was good. But this time it was absolutely terrible due to strong dichlorobenzene smell. There were many dichlorobenzene balls on water drainer for removing the strong sludge-like smell. Due to strong dichlorobenzene smell, it made me headache and low-sleeping. another problem like broken shower head, no hot water, water leakage from toilet bowl were somehow acceptable. That's why I will definitely avide room 605 for next stay. Overall,it was a nice stay. 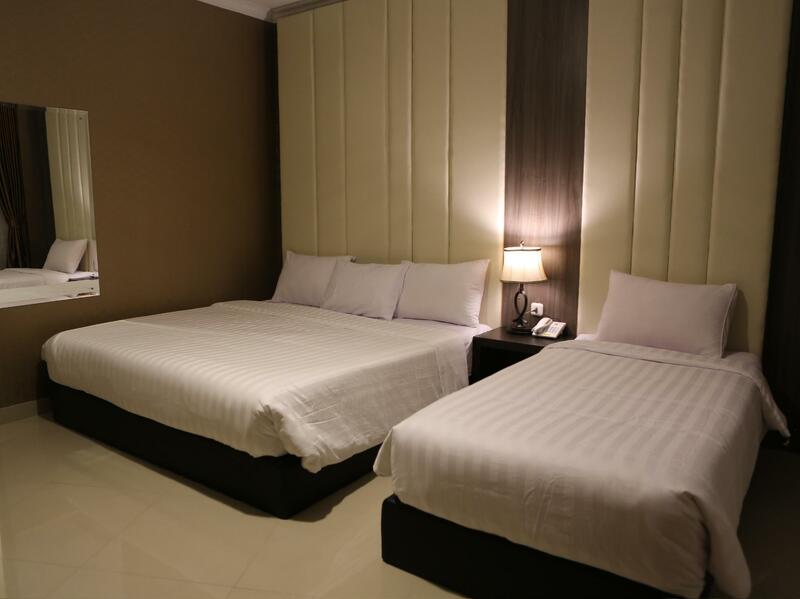 Value for money, clean room and friendly staff. If I go to Jakarta, I will use this cost-effective hotel again. Only weak point is that a main road near hotel is in extremely heavy traffic, so it would pay attention to cross the road. In this meaning, I don't recommend for family/elder traveler. Rooms too old, especially toilet. Toilet bowl while flushing keeps pushing out shits back with the water, and it doesn't goes down but keep floating till to the floors @ midnight around Jakarta time 1am. When complained to front desk staff said that will asked some 1 come to our room to check but the waiting time so long. Hotel breakfast only got 2 dishes and white breads. The worst hotel that I've been stayed. 😁 the location was super strategic. near to station KRL, night market(Wednesday) & indomaret . 😑 but the room little bit dirty & smelly. The just room is just beautiful.